Your address for purchasing top hats. 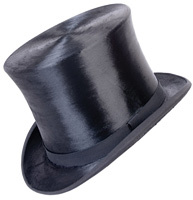 personal recollections of the time when people still wore top hats daily. Contact Ton Meeuwis for questions and more information.